As with the start of video art, it really took off and became a medium with the price falling for the cost of equipment and the accessibility to the public for products. In the 1980s the price dropped even more for editing software giving way to the general public having access to the technology, editing software was so accessible now that it had an effect on the way artists worked with the medium. Such as the ability to edit and change around the standard expectation of an event, changing the sequence so moments will not happen in their expected timeline. Also, it gave the chance for more collaboration, with the ability for multiple minds to edit and change a piece of filmed footage, thus creating interactivity. The problem for some artists was the participation of the viewer, that was their main criticism of the new medium, so artists such as Jeffery Shaw talked this in such a way as making precursor to VR, he created an artwork where the viewer would sit on a fixed bicycle and peddle, the direction of the handlebars and the speed of the peddling would change the images that they saw before them of three different cities, Manhattan, Amsterdam and Karlsrule. In this work ‘Legible City’ created 1988-1991, it gave each viewer/participant a different experience a different virtual experience. With the ability of the equipment and software getting better and better it spurned on more artists and with it different ways to show their art. 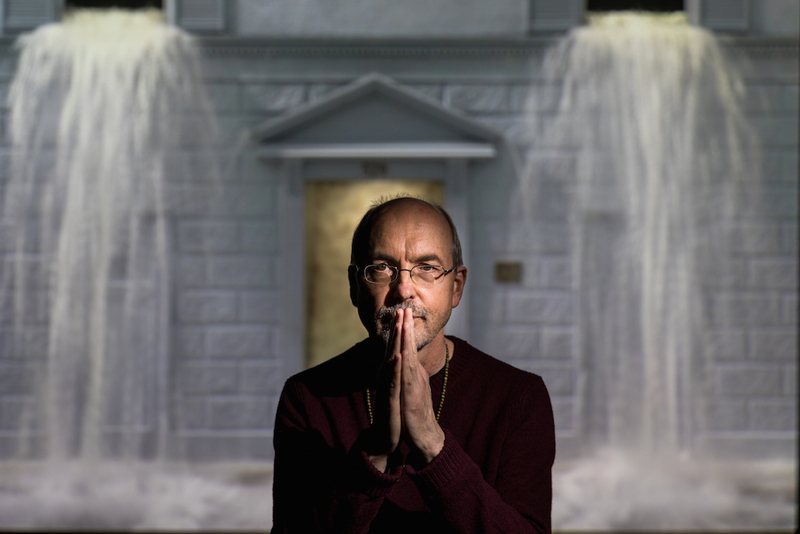 One such artist was Bill Viola, his works looking at the human experience such as birth, death, emotion from love to loss and some aspects of human consciousness. He films in ultra-slow motion adding to his works a type of painterly quality giving a sense of an old masters work, within showing his interest and inspiration for and from religious traditions along with renaissance artworks, using the slow motion to highlight different aspects of the his subjects and moments that may have been previously missed when shown at normal speed. With more and more film and video being made with the start of the 2000s, artists started to not only create with their own footage but started to use found footage also, editing and reworking other pieces of film and video. Just like in other mediums like photography or painting an artist may create a college, so to this happened in video art, in 2008 Marco Brambilla created a video collage of found footage from movies creating a video mural to depict heaven and hell, which was named ‘Civilization’. Civilization by Marco Brambilla from Smith. on Vimeo. As the years have passed from the introduction of video art, the technology has changed and so has the software and display choices, more and more artists work or have used this medium in one or another. Creating, documenting, and expressing themselves through the use of video ar. It has become a widely accepted medium, with many awards and prizes for video artists and big art awards like the Tunner prize having shortlisted video artists and had winning video artists, like Steve McQueen, Jeremy Deller and Duncan Campbell to name a few. The medium of video art constantly changes with the advancement of technology and the different ways in which the artist can use and manipulate it, creating different works all the time, and with the technology still on the march and advancing the medium will have many more adaptations still to come. Anything to add, leave us a comment below. This is part 2 of another post Video Art – Where It All Started if you missed it go check it out here.